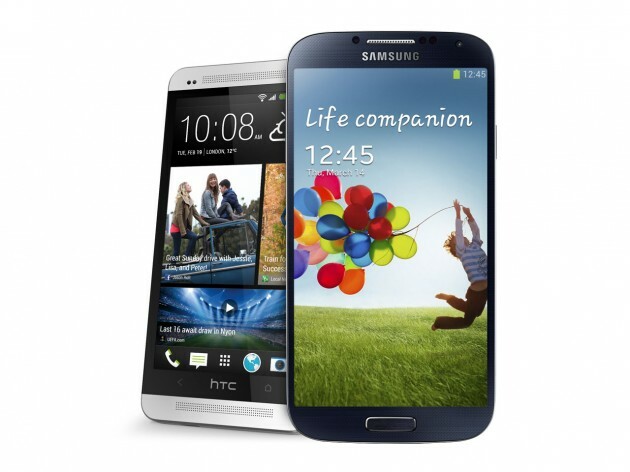 Samsung Galaxy S4 and HTC One both will be available in the Australian market in the beginning week of April 15. One can see plenty of reviews for both the devices on the web. Now people are in the dilemma to decide which one to buy and which one is best for them. The first one to arrive in the market will be the new HTC handset and it will get more than a week of market head start. The Samsung Galaxy S4 is expected to arrive on April 26. However, being the first one to arrive in the market does not mean being the first on sales. But looking at the specs of both super smart Android phones only can we decide which device is more attractive. The HTC One features a 4.7 inch screen, with a Full HD resolution of 1920×1080 pixels, which are 468 pixels per inch. While the Galaxy S4 has got a slightly bigger display with 5 inch but is features the same screen resolution. Now in terms of pixel density, the Galaxy S4 has got 441 ppi which is lower than the HTC handset. If you are more interested in getting in more pixels then this HTC handset gets another one point for the same. But however, it should be noted that it has got larger pixels because of its smaller screen. However, in terms of brainpower flexibility, the Galaxy S4 wins the battle. The Galaxy S4 can shift from 1.8GHz quad-core processor for 3D gaming and HD video viewing, to 1.2GHz quad-core processor for a lighter, less demanding use. Both the handsets have got 2GB of RAM but one can extend the storage capacity only in the Galaxy S4. This would not impress for those who are not keeping an eye on extra storage space. But the mobile gamers would definitely go for the Galaxy S4 for its promising power. The new HTC handset features the new Blink feed feature on its Android skin. It works like Flip board, but instead of a generic feed, it is user-centered. The new HTC handset even features like the Ultra Pixel camera which is effective even in the low light and the Zoe app, which revolutionizes the photo-video gallery. It gets another point for it. The Galaxy S4 is even equipped with features like Dual Camera, Smart Scroll and Air View, among the few. As far as low light conditions are concerned, the Ultra Pixel easily beats Dual Camera. Moreover, the 4G variant of the Galaxy S4 (i9505 4G LTE 16GB) costs $829 in Australia while the new HTC handset 4G LTE (32GB) is $759. Looking at the budget, the HTC would be preferred by some. This guest article has been composed by Christy Root who works for PrePayMania and is a Professional writer, who writes Guest Articles.